GRAND RAPIDS, Mich. – As the U.S. Navy prepares to commission the USS Gerald R. Ford – the newest and most advanced aircraft carrier in the world – SpartanNash and the Gerald R. Ford Presidential Foundation invite the public to join in celebrating the ceremony on Saturday, July 22. The commissioning begins at 10 a.m. in Norfolk, Va., with a viewing party taking place at the Gerald R. Ford Presidential Museum and a live stream available around the world. 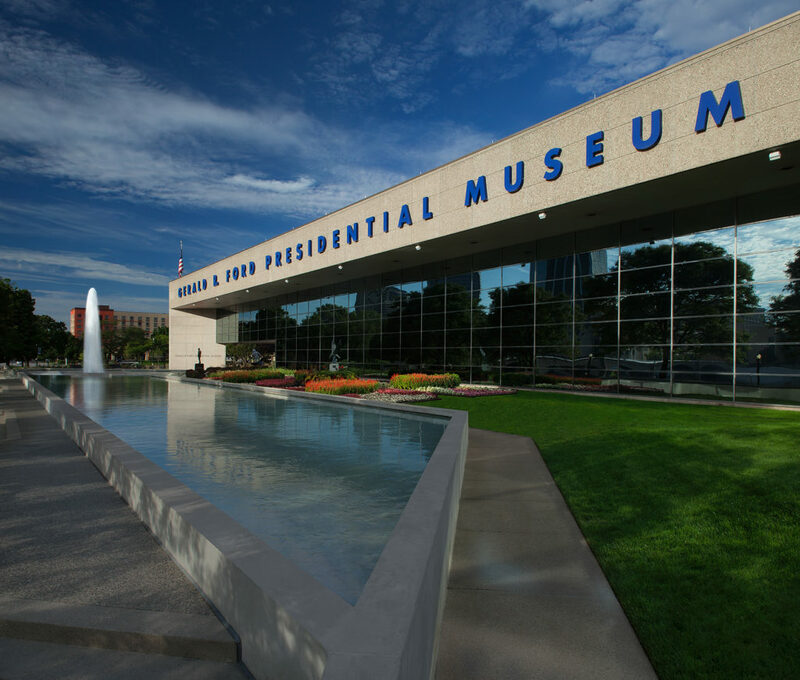 The Gerald R. Ford Presidential Museum is located at 303 Pearl St. NW in Grand Rapids. Family-friendly events begin at 9:30 a.m., with the live broadcast beginning at 10 a.m. in the plaza outside. Special viewing areas will also be available inside the museum’s auditorium and learning center. The USS Gerald R. Ford (CVN 78) is the first new design for an aircraft carrier since USS Nimitz. It is equipped with two newly designed reactors and has 250 percent more electrical capacity than previous carriers, allowing the ship to load weapons and launch aircraft faster than ever before. Five thousand shipbuilders in Newport News, Va. and thousands of suppliers across the United States contributed to this first-in-class ship. SpartanNash and the Gerald R. Ford Presidential Foundation are teaming up to host the viewing party, with a live broadcast of the commissioning available for those who can’t attend in person. SpartanNash will be providing cupcakes and bottles of water to those who attend the viewing party at the museum. There will also be free admission at the museum all day. “As the leading distributor of grocery products to U.S. commissaries around the world, SpartanNash is proud to use our voice and our company resources to raise awareness for this historical event,” said Meredith Gremel, SpartanNash vice president of corporate affairs and communications. “Through our MDV military division, we see firsthand the sacrifices our military heroes make to protect our freedoms every day, and we are committed to serving those who serve. Our ties to President Ford and his namesake aircraft run deep, from his birthplace of Omaha, Neb. – where we own and operate 17 retail grocery stores and a distribution center – to his hometown in Grand Rapids, where our company’s headquarters have been for 100 years. To raise awareness for the commissioning and viewing party, SpartanNash is inviting associates and store guests to sign postcards, which will then be shipped to crewmembers aboard the USS Gerald R. Ford. The postcards will be available in all 87 D&W Fresh Market, Family Fare Supermarkets, Forest Hills Foods, ValuLand and VG’s stores in Michigan, as well as the 14 Family Fare Supermarkets and three Supermercado Nuestra Familia stores in Omaha. 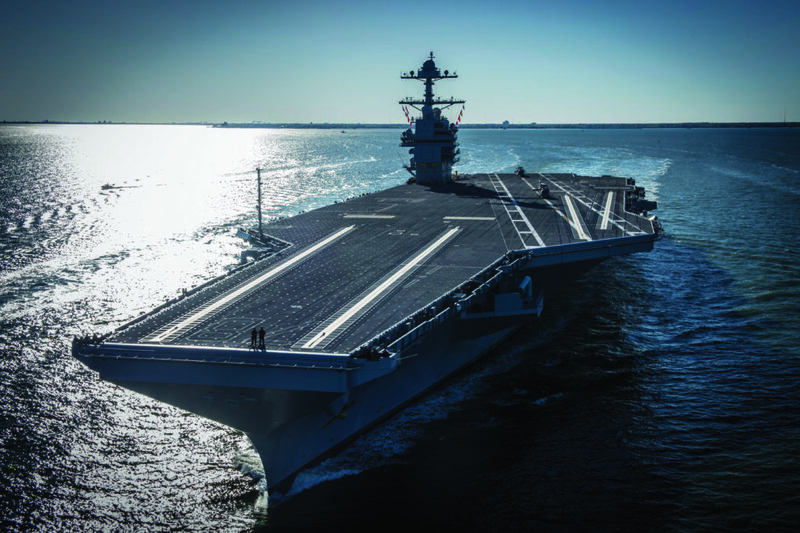 SpartanNash and its military division, MDV, is also sponsoring the USS Gerald R. Ford’s commissioning ceremony, donating 30,000 bottles of Freedom’s Choice™ water and 15,000 Our Family® granola bars to those attending in Norfolk. Freedom’s Choice is the private brand developed by SpartanNash exclusively for the Defense Commissary Agency (DeCA) for distribution throughout the commissary system.